A fire burns at the site of a CSX freight train derailment, on May 28, in White Marsh, Md., where fire officials say the train crashed into a trash truck, causing an explosion that rattled homes at least a half-mile away and collapsed nearby buildings, setting them on fire. 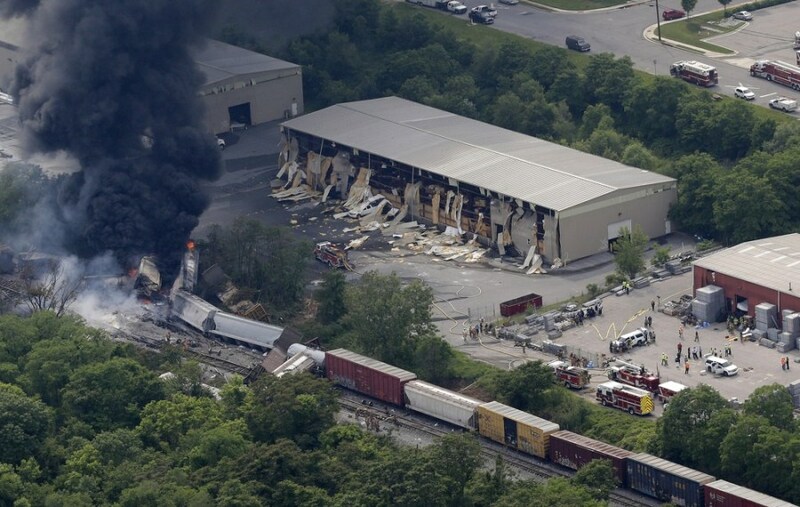 A fire burns at the site of a CSX freight train derailment, on May 28, in White Marsh, Md. 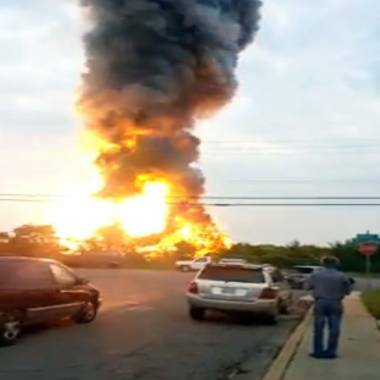 This still taken from video provided by James LeBrun shows an explosion outside Baltimore on May, 28. 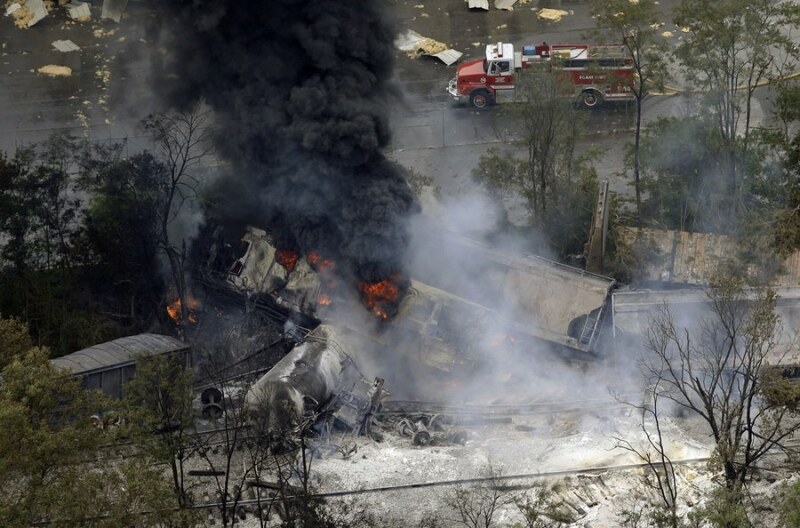 A freight train derailed outside Baltimore after colliding with a tractor-trailer on Tuesday afternoon, sending a huge plume of smoke billowing from flaming wreckage. 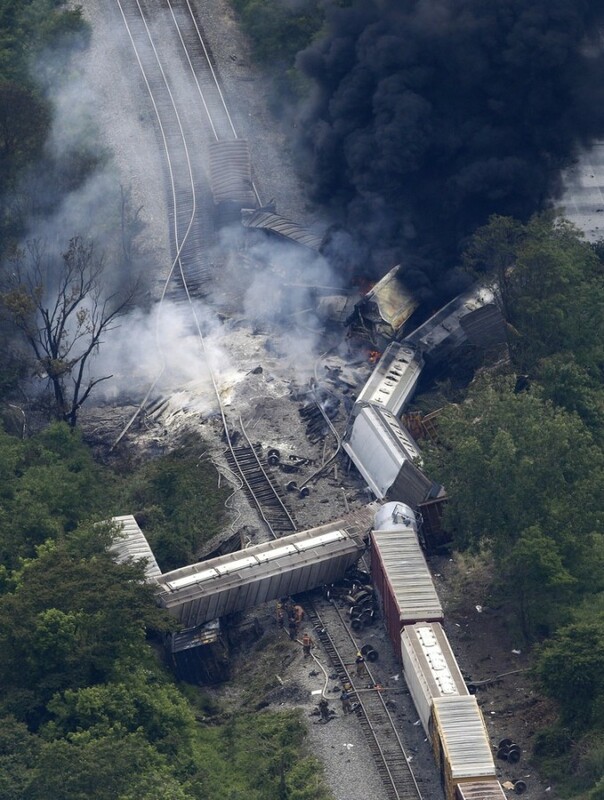 Fifteen cars from the CSX-owned train were derailed and two were on fire following the accident, according to Baltimore County officials. Images from the scene revealed nearby buildings sustained substantial damage from the explosion. Continue reading. 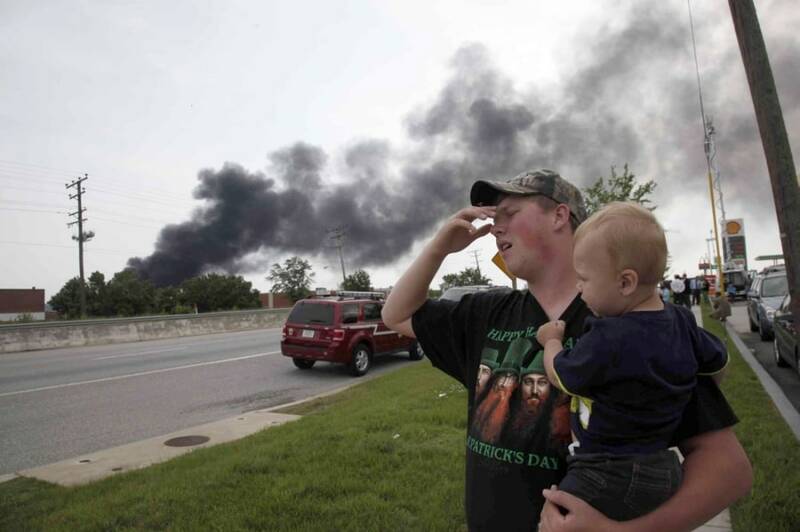 Mark Paugh carries his 15-month-old son Ryan as they watch smoke from a train derailment in White Marsh, Md., on May 28, in Rosedale, Md. 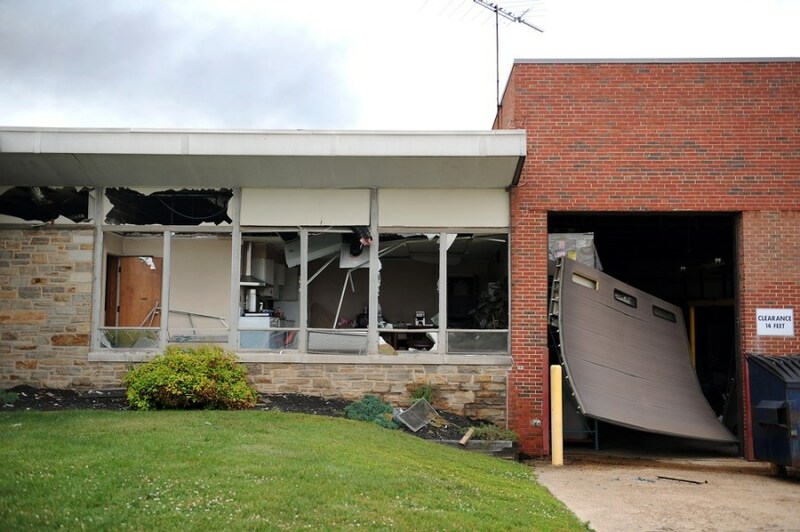 Windows and a garage door of a nearby business are blown out from a train derailment that caused a major explosion in the Rosedale neighborhood on May 28, in Baltimore, Md. Residents in nearby neighborhoods were advised to voluntarily evacuate.